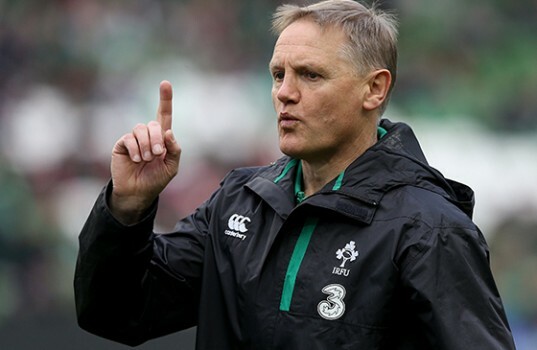 Ireland coach Joe Schmidt admitted he has a big job on his hands to lift his troops for next week's Test series decider against South Africa in Port Elizabeth. Joe Schmidt admitted Ireland's nine-try thumping of Italy"released the pressure valve" amid a testing RBS 6 Nations campaign. England head coach Eddie Jones is to implement a self-imposed media blackout in response to the outcry over his comments that he was concerned for the welfare of Ireland fly-half Johnny Sexton. Johnny Sexton kicked a penalty six minutes from time to preserve injury-hit Ireland's unbeaten RBS 6 Nations home record under Joe Schmidt and stall Wales' stirring fightback.